As a racking and industrial shelving manufacturer and stocking distributor in the Gulf Coast area, Shelving Concepts is your “count on us” source for pallet racks, industrial shelving, widespan shelving, rivet shelving, cantilever racking, and wire decking. 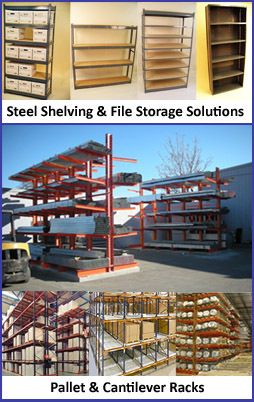 Shelving Concepts manufactures racking systems, sells industrial shelving, and provides installation for pallet rack, widespan, and cantilever racks anywhere in the Continental United States. Our staff has hands on experience in selling and installing pallet racking, widespan, cantilever rack, and file shelving. Our experience and advice have saved our customers both money and headaches when dealing with storage solutions. At Shelving Concepts we enjoy celebrating the Christmas holidays every year! View this link: 2018 Shelving Concepts Christmas Gallery to enjoy viewing our latest Christmas photo album. For guests who were in attendance, you may print out your photos by clicking on the photo and choosing the print option from your browser bar.